You've probably guessed, but the gift card just slides into the green pop up part of the card. I decided to add a couple of gift tags tied on with baker's twine by Martha Stewart. 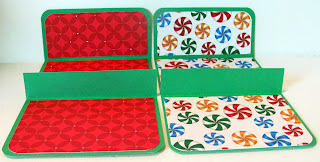 These cute pop up gift card holders can be embellished in a lot of ways. 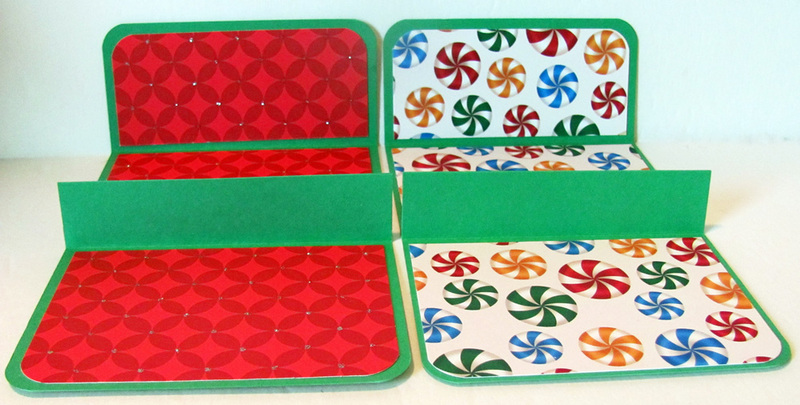 I just chose to cut out a couple of round circles with my Fiskar's cutting system and then added a couple of cute holiday stickers to add to the band that goes around the card to keep it closed. I hope you have enjoyed my latest projects. Thanks for stopping by to visit. Happy dolly playing and crafting. Smart holders and also these cards holders are with the nice colors...i love this unique adventure. Hi... 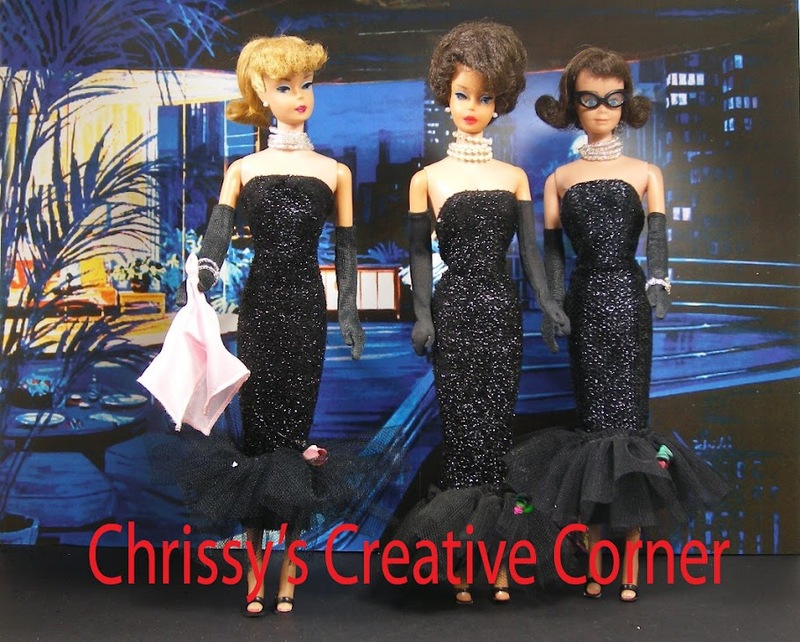 I love your vintage Barbie dolls in you header !